2018 Merit Award Winners were awarded their scholarships at a luncheon on April 26. 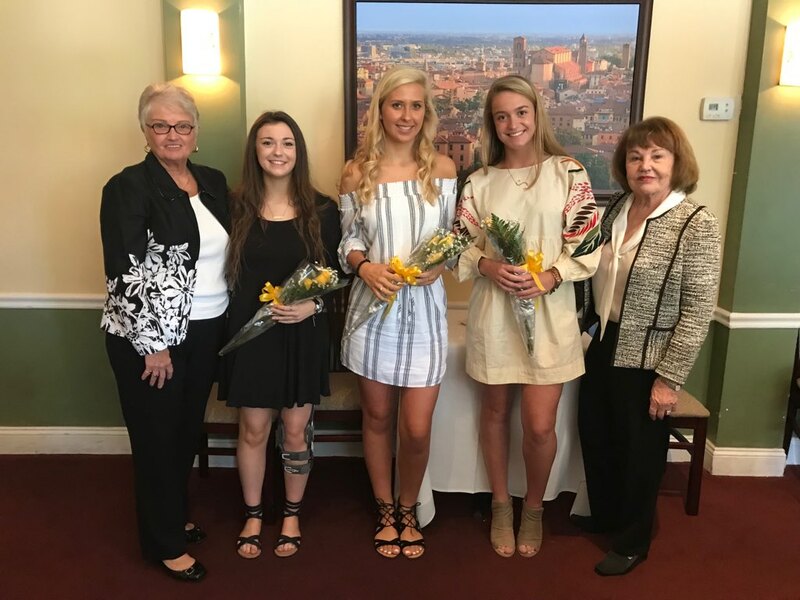 Pictured from left to right are Phyllis Peters (Merit Awards CoChairman), Sarina LeCroy (Southern HS), Graciela Mong (Severn HS), Sydney White (Broadneck HS), and Joan Kay (Merit Awards Co-Chairman). The Panhellenic Club of Annapolis sponsors an annual fundraiser. Traditionally, our Panhellenic club has held a fashion show/luncheon with door prizes and raffles. Proceeds are used to fund merit awards. These awards go to senior girls graduating from Anne Arundel County High Schools, both public and private. Merit is based on scholarship, school activities, and community service, as well as an interest in attending a college or university with nationally recognized sororities. Merit awards are presented at a spring luncheon for club members, the recipients and their immediate families. Merit Award applications are available at all Anne Arundel County public and private high schools or you may download the application here. If you would like to make a donation to help fund our Merit Award Scholarships, you can make a donation by completing the form below. Fill out the form below to get our email blasts and special event announcements!